Peggy Houser is the owner of Beads in the Forest. 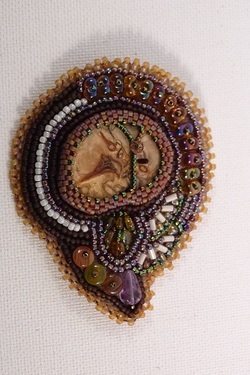 I specialize in bead weaving, bead embroidery, and free form peyote jewelry. My inspiration comes from many sources in and around the Allegheny National Forest which is located in the wilds of Northwest Pennsylvania. I am a member of Artworks at The Depot in Kane, Pennsylvania.